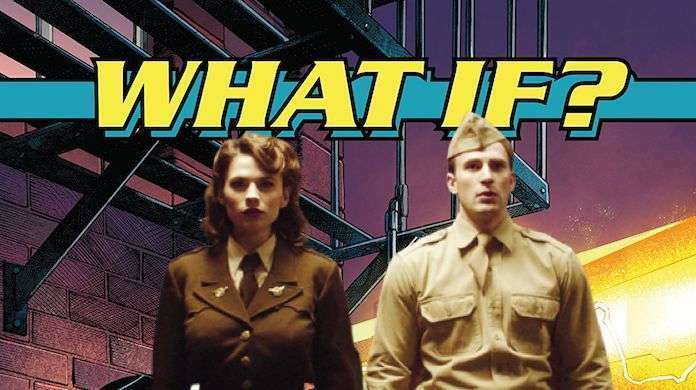 During Disney's Investor Day, Marvel Studios chief Kevin Feige revealed that Disney+ will feature an animated series based on Marvel's long-running alternate-reality series What If...?. Feige explained that What If...? is "Marvel Studios’s first animated series. Taking inspiration from the comics of the same name, etc episode will feature a different moment from the MCU and turn it on its head." He said that the first episode is set in a world where Peggy Carter got the Super Soldier Serum, and scrawny Steve Rogers joined the fight in a suit of armor created by Howard Stark. This will mark the second time Peggy Carter was featured in a Marvel TV show, although this time around it is being overseen by Feige's crew at Marvel Studios. That story will likely be a fan-favorite, since the amount of time that Steve and Peggy have shared onscreen has been relatively little, especailly considering how popular Peggy is and how well the chemistry between the characters works. There was no specific mention of any cast members playing the characters in this or other projects, although Feige did say that "new and returning cast members will be lending their voice to the animated counterparts." While Chris Evans is leaving the MCU behind after Avengers: Endgame, it is not impossible that he could show up for What If...?. More generally, Feige promised that the quality of the Disney+ shows will be what fans have come to expect from Marvel. He said that he was happy to finally have the whole MCU in one place (likely an acknowledgment that the ABC shows and Netflix shows didn't feel particularly connected to the movies) and added, "Each of the series will be equal to the movies in quality and storytelling," Feige said. "They are immensely important. Deepen the mythology and significant impact the future of the MCU."